The current crisis Board members have been forced to address is the direct result of cumulative impacts of management strategies implemented by the BLM through site-specific interpretations of how individual field offices determined what constituted "excessive". With specific respect to "on-the-range" management, these interpretations have received the smallest amount scrutiny and/or accountability; either by Board Members, the Secretary of the Interior or Congressional oversight and there appears to be no functioning body providing national oversight, sincere review or accountability of these core decisions or of the proposals BLM continues to implement. This in turn is causing irreparable harm to the public as wild herds continue to lose habitat and to have their allowable population levels repeatedly and consistently reduced throughout the West. It is at these fundamental levels of relatively unchallenged or independently reviewed decisions that BLM continues to focus their "compliance" to law and rangeland management through an almost exclusively narrow focus on removing "excessive" animals to protect the range. Yet there is currently little evidence or data available to indicate these AMLs have been set through any legitimate scientific methods or sound processes! In the 1990 Government Accountability Report (GAO) on the Wild Horse & Burro Program, the GAO's findings were very clear - BLM was unable to provide legitimate methods, processes or data to support actions and decisions regarding wild horse and burro management and how they were determined excessive. Nor was BLM able to provide evidence to show that removing wild horses and burros made any significant impact towards achieving healthier rangelands. Almost twenty years later, the 2008 GAO report again re-affirmed many of these same issues have still failed to be adequately addressed. After almost 40 years of "management" of America's wild herds, the GAO noted that no manual, handbook or policy had been established to require AML decisions to conform to a standardized system based on sound scientific methods, processes or data. All information currently available indicate these determinations were issued through either a continuation of prior decisions that had little to no data to support those decisions or methods were used that had no basis in actual rangeland conditions, carrying capacity, or within the context of a current thriving natural ecological balance. Review of these plans has revealed they often failed to conform to any system or sound method to establish self-sustaining wild horse and burro populations, protect habitat or even the critical resources necessary for them to survive. In the 2008 GAO report, one of the considerations given as to why the GAO recommend BLM develop a national standardized system for determining AML was, the GAO asserted the majority of BLM personnel who had the "experience to make informal AML decisions" were quickly retiring. These "informal decisions" are being perpetuated through land use plans and prior AML decisions and are at the very heart of the current crisis that has imperiled all wild horses and burros both on and off the range. ~Congress finding it necessary to introduce legislation to amend the 1971 Act to again enforce its original intent due to failures by the Secretary of the Interior and their authorized officers to provide legitimate frameworks to uphold their legally mandated obligations to the American people to preserve and protect free-roaming herds - both now and for future generations - on public lands. ~A budget that has spiraled out of control causing excessive burdens on taxpayers that has gone without financial audit or review to determine if these expenditures were legitimate and/or necessary. ~Demonstrating inadequate concern for a federally designated wildlife species granted special status protection for their contributions to our nation and for their cultural and historic significance to the American people. A sincere independent review would reveal cumulative impacts of site-specific decisions has potentially caused their preservation on the range to now have reached critical levels of concern. ~If BLM acts on the Advisory Boards prior recommendations to "dispose of" all the wild horses and burros that may have been illegitimately removed due to site-specific decisions that failed to conform to the full spectrum of federal law required in wild horse and burro management for their preservation and protection, the loss of such a richly distinctive and diverse genetic heritage will be irreplaceably and irreparably lost from both our nation and our people forever. ~A critical need for a formal investigation into the actions and decisions implemented by the BLM that have had far reaching cumulative impacts resulting in the current crisis. There are many, many indications the Program has become riddled with waste, fraud and abuse that have yet to be addressed and/or resolved. ~Request BLM report to the Board and the public how many wild horses and/or burros, if any, have now been euthanzied both on the range and in holding facilities since the Board gave its recommendations in November 2008 and through BLMs December 18, 2008 approval of the new Euthanasia Memo #2009-041, which authorizes and outlines policy for large scale euthanasia of wild horses and/or burros. ~The Board request a financial audit of the Wild Horse & Burro Program to determine if any of the current funding crisis is a result of waste, fraud or abuse. For example, in the February 2008 Advisory Board Meeting, BLM presented the Advisory Board with an overview of the projected budget and associated costs of the WH&B Program. However, while BLM included the cost of the adoption program to Board Members, they failed to include the revenue generated from the sales and adoptions of wild horses and burros. This sort of accounting practice may be rampant in the Program and Board Members concerned with the financial issues affecting it have an obligation to actively support a review of an official audit of financial expenditures before supporting any more "disposal" alternatives to relieve BLMs financial pressures. ~The Board request an accounting of why BLM did not immediately investigate the cause of deaths of wild horses and foals in the Oregon HMAs, what rangeland management practices are currently in place that could verify the anonymous comments reports of abuse or may have contributed to their deaths, how BLM intends to remedy these issues so it does not happen again, why the BLM failed to report their deaths to the public and why BLM found an "undermined number" of wild horses still remaining on the range after the removal operations a satisfactory population report. ~The Board recommend the National Manual being developed by BLM to set a standardized AML determination process and create formal guidance on all aspects of Wild Horse and Burro Management be open to public comment and review as its impacts affect all wild horse and burro herds on both site-specific proposals as well as the national program as a whole. Doing so will help prevent future litigation by resolving issues collectively and allow the public a voice in the day to day operations that affect both herds, habitat and the thriving ecological balance BLM is charged with maintaining. 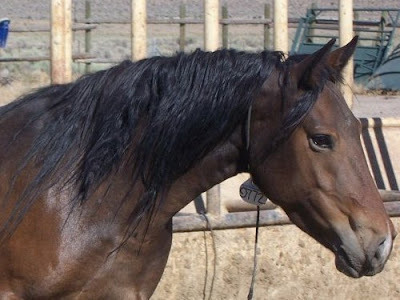 ~The Board should be consulted and provide input on all land use plans, resource management plans and changes in AML decisions that affect wild horse and/or burro herds, their habitat or the critical resources necessary for their continued preservation and protection before BLM can issue a final decision on the proposal. If the final decision changes components that were integral within the framework of the original analysis, the BLM should explain why the changes were made, provide an analysis to the Board and public of the projected impacts of these changes and what the details of the changes mean for future wild horse and burro management. ~The Board recommend a viable process be instituted that mandates site-specific proposals examine their actions in relation to cumulative impacts effecting the Program on a national scale. Currently, there is no viable system in place that requires individual field offices to examine the cumulative impacts of their proposals to the Wild Horse and Burro Program on a national level. Nor can the public participate or provide input on policy's being issued on a national level that is having cumulative impacts on site-specific decisions. This disconnected system has allowed BLM to escape accountability through the necessary "hard look" at the policies being instituted and their resulting cumulative impacts. This is a serious flaw in the current system that has greatly contributed to the current crisis within the Wild Horse and Burro Program on multiple levels. ~The Board request answers and report to the public why BLM was unable to find appropriate mitigation measures in the Ely Resource Management Plan to continue to protect 1.6 million acres of wild horse habitat and the herds that are now being scheduled for removals after almost 40 years of being included in a thriving ecological balance that BLM recently determined can no longer sustain them. ~The Board request why BLM is now implementing management plans that will no longer consider genetic data or traits of historical and cultural significance. Additionally, is it now BLMs intent or has a policy been issued to manage historical herds as nothing more than publicly financed breeding farms for adopters/buyers for whatever "sells" in the market place? ~The Board request BLM begin reporting to the public prior to implementing those actions, an analysis of proposals that may return wild horses and /or burros to the range after conducting removals. 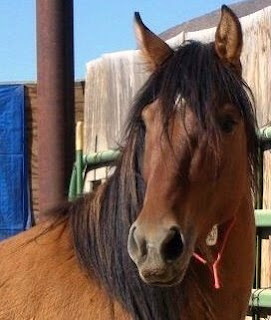 The public should be able to review why, how many, the costs associated with the proposal and for what purpose does BLM intend to return wild horses, if they will be returned pregnant and if they should be returned to add "color" or to increase significant historical values to maintain herd characteristics even if those returns cause wild horse and/or burro populations to again exceed AML. ~The Board recommend BLM again revise their post-gather templates to include an age-class structure composition of all gathered wild horses and burros to create a national database on wild horse and burro reproduction/mortality rates, both for determining actual rates as well as to assist in future management actions that may reveal changes or trends in reproduction/mortality on either a site-specific or national level. ~Again I would like to recommend as I have repeatedly done in the past, that the Board begin to explore options for viable means of communicating with the public regarding their concerns, questions, comments, input and suggestions and to make these issues available through the public record in order to provide some measure of accountability for both the Board and BLMs progress towards addressing those issues. Also see The Cloud Foundation's Executive Director Ginger Kathren's Public Comments to the National Wild Horse & Burro Advisory Board by Clicking Here! 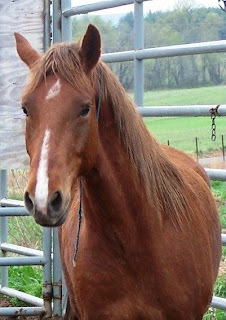 Fox Hog HMA wild horse- No longer managed for "historically significant traits". The BLM Surprise Field Office has issued a public scoping notice on their intent to remove wild horses in the Coppersmitth, Buckhorn, Carter Reservoir and Massacre Lakes Herd Management Areas (HMA). Additionally, BLM will be reviewing and/or changing the Allowable Management Level (AML) for the Massacre Lakes HMA’s wild horses. The Massacre Lakes current AML is set at 25-35 wild horses and was “estimated” in the newly approved Surprise Resource Management Plan (RMP) but is now open for change. Click Here to review BLMs Notice and Proposals. Currently, BLM is seeking public input regarding the removals of wild horses as well as any information to help them assess AMLs for the Massacre Lakes wild herds. While BLM has some flexibility in issuing new AMLs in the upcoming environmental assessment expected to be released this summer, (which will review those AMLs to see if they want to make any changes in the allowable population levels), BLM is generally bound by the framework established in the new RMP approved in April 2008. So here is a little information about the Massacre Lakes HMA and the Resource Management Plan BLM recently approved. No longer managed for "historically significant traits". The HMA is located 25 miles east of Cedarville, CA, in north central Washoe County, NV (yes, a BLM California Field Office manages a Nevada HMA). The HMA overlaps with the Massacre Lakes Allotment, Massacre Rim Wilderness Study Area, Massacre Rim Area of Critical Environmental Concern (ACEC), and the Black Rock High Rock Emigrant Trail National Conservation Area. In the RMP, BLM has chosen to manage the Massacre Lakes HMA as part of a “Complex”, meaning the wild horse populations of adjacent HMAs are considered to be interchangeable and most management proposals will include all the areas that BLM has designated as within this "Complex". No longer managed for "historically significant traits"
The Surprise Resource Management Plan covers 1,220,644 acres. BLM oversees a total of 8 Herd Management Areas spanning 478,195 acres with an wild horse allowable management level (AML) ranging from 339-550 “head”. The maximum forage allocations given to wild horses is 6,600 AUMs or 7% of the forage issued to livestock before wild horse removals are scheduled. When it comes to livestock authorizations, the new RMP continues to authorize livestock grazing on 1,445,443 acres (more acreage than the RMP covers?) with 92,465 AUMs doled out annually for livestock operations in the area. While livestock numbers can be rotated, large numbers pushed through during limited time frames, etc., for comparison purposes, this is the equivalent of feeding 7,705 wild horses year round within the Surprise Resource Area. For livestock allocations, BLM determined 15.6 acres where available in the area to feed one cow and her calf per month. When it comes to wild horses, a little different formula was used and BLM determined it took 72 acres to feed a wild horse with foals being counted as one adult horse in their “excessive” AML determinations. 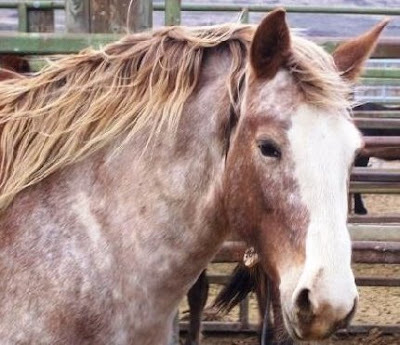 Bitner Wild Horse #9772 - No longer managed for "historically significant traits." **Develop three seasonal wild horse viewing sites at Buckhorn Road, near SOB Lake; Lost Creek Road, near Cottonwood Creek; and HWY 299/8A near the Nevada California Border. **Manage wild horses within 8 established herd management areas (HMAs), on 478,195 acres.Enlarge the Fox-Hog HMA boundary to 127,618 acres. (See note under Changes Made to the Approved RMP). (Editors Note: In the “Final” Proposed Plan last seen by the public before BLM actually approved the plan, the Fox-Hog HMA was going to be increased to 145, 244 acres but at the last minute, BLM changed their minds and reduced this to 127, 618 acres instead). **Prioritize selection of animals returned to BLM-administered lands after gathers based on traits desirable by public for adoption (color, size and conformance) and for historical traits in the Carter Reservoir HMA only. (Editors Note: In the “Final” Proposed Plan last seen by the public before BLM actually approved the plan, BLM intended to manage all the herds for their historically typical herd characteristics but at the last minute, changed their minds and opted for managing them for whatever buyers were looking for instead. This also nullified their initial proposal of “Genetic data would be used for guidance and confirmation regarding selection for historical herd characteristics in animals contemplated for release”. Based on the changes, now BLM doesn’t have to worry about what the genetic tests reveal or even bother sampling the wild horses at all because they don't care what their historical significance is anymore). **Maintain herd management area (HMA) populations within established appropriate management levels (AMLs) by conducting periodic gathers. **Eliminate unnecessary fences and minimize construction of new fences in HMAs that prevent seasonal wild horse movement or migration. **Adjust AMLs when monitoring data indicates wild horse populations are not achieving a thriving natural ecological balance. Remove wild horses found outside HMAs. Fox Hog Wild Horse #8620. No longer managed for "historically significant traits"
Please be aware that any personal information and comments submitted to BLM become part of the public record. If requested, BLM will try to withhold personally identifying information but cannot guarantee this. 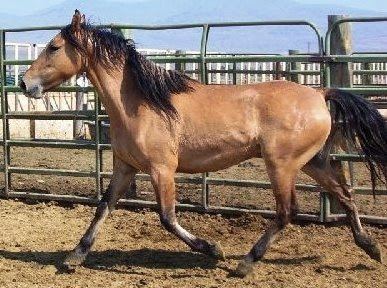 Also be sure to include Wild Horse Gather and Removal Plans in the title of your comments. Click Here to review the Surprise Field Offices Proposed Resource Management Plan, Final Environmental Impact Statement and Record of Decision. Click Here to access BLM National Herd Statistics from FY2004 through FY2008 for further information about the HMAs and wild herds being proposed for removals. (1) Removal and estimated removal statistics taken from BLMs Final National Gather Schedule, Fiscal Year 2007.